Give your skin a daily delectable treat that melts away thick make-up, dirt & any facial impurities, only with Meltie’s 1 minute cleansing solution! Eye & Face make-up remover + Cleanser all in one! Meltie™ Original Ice-Cream Melting Cleanser is a light, creamy and exceptionally smooth cleansing formula that cleanses your face & removes eye/face make-up all at one go. It is a deep make-up remover plus everyday facial cleanser that does not contain any alcohol, petrol chemicals, scrubs or other artificial ingredients. Unlike mainstream cleansers or makeup removers, Meltie is fully organic and made up of 100% all-natural ingredients. Meltie is capable of removing heavy make-up without a trace & deep cleansing: within 1 minute. While mainstream cleansers can remove only visible makeup, Meltie performs deep cleansing and unclogs blocked pores clogged with make-up. 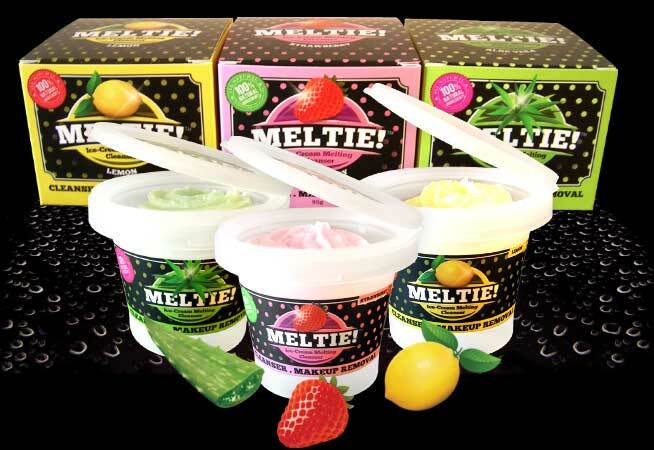 Meltie™ Original Ice-Cream Melting Cleanser is made from 100% natural ingredients blended in our original recipe. 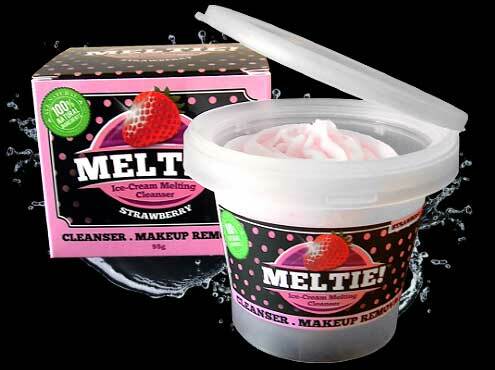 Meltie effectively melts away make-up from your face and eyes. Completely remove Mascara, Eyeliner, B.B Cream, Sun Block & all other troublesome waterproof cosmetics without damaging alcohols or irritating oils. Meltie! takes off my waterproof mascara, eyeliner, foundation, Its a smooth process, very quick and easy. Meltie! makes my face very soft, not tight, It doesn't feel dry at all. Feels very clean after use! Meltie! removes your makeup, acts as a cleanser, and it also acts as a moisturiser. It really shortens my time getting ready at night. I can use 1 product to accomplish 3 things. Meltie! did an exceptional job. because I have such sensitive skin, I always have to worry about residues left behind. Now I dont have to worry about breaking out the next day. I feel Meltie! is best for me, its is best for the environment as it is all natural. You save 130 % off the usual price! !